Hello lovelies! 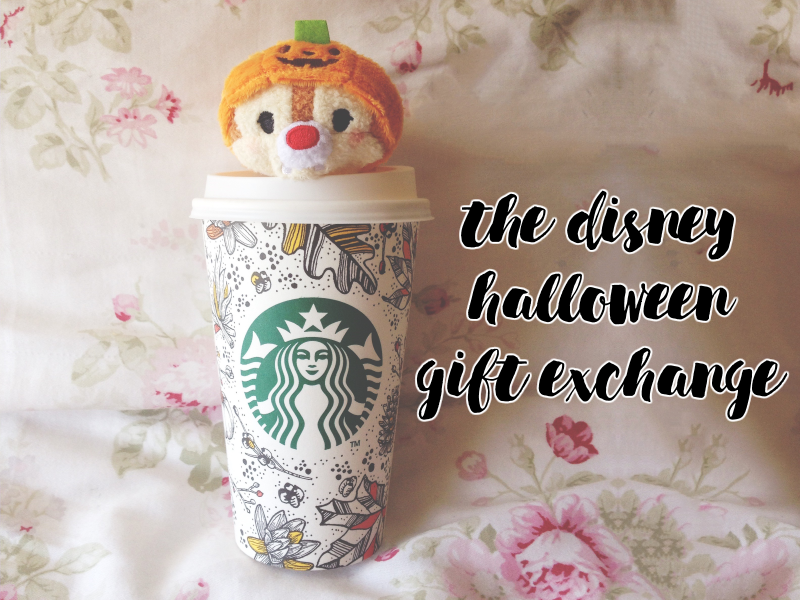 Halloween seems to be a huge thing within the Disney community and as I've got no Disney Halloween plans this year I thought I'd try to organise a gift exchange! I'm hoping it will similar to the Christmas ones that the lovely Lottie and Sam have organised in the past where if you take part, you get to send a gift to someone in the Disney community and receive one yourself off someone else! 1. This is a Halloween & Disney-themed gift exchange but if you can't find anything Halloween-y, things that are Halloween colours (black, orange, purple etc.) are great too! 2. This is open to anyone who wants to participate (you don't need to be a Disney blogger etc.) but only addresses in Europe I'm afraid due to postage costs! 3. It's going to be a secret exchange so I will collect everyone's addresses and then randomly allocate everyone a person to send to! Remember to include your twitter handle with your present so the recipient knows who sent it! 4. I'm collecting addresses until the Friday 23rd September so if you'd like to take part please send me a private twitter message of your address (including your country), whether you'd be happy to post outside of your country and the names of three of your favourite Disney films to make it easier for the person who is buying for you! 5. Once I've finished collecting the addresses I'll let everyone know who they're buying for and then you can get shopping! 6. The dates for sending your gift are from Friday 21st October if your recipient is in the same country as you or from Friday 7th October if they're in a different country. I chose these dates so that the gifts will hopefully arrive before Halloween/the dates that most people who are going to Disneyland Paris for Halloween will be away. 7. The budget is £10 per person but handmade items are also more than welcome! That's it! Feel free to pop me a tweet if there's anything else you're unsure of!